Sippel Racin', the Open Wheel Driving School and the Rent a Ride Program. We're here to put you behind the wheel. 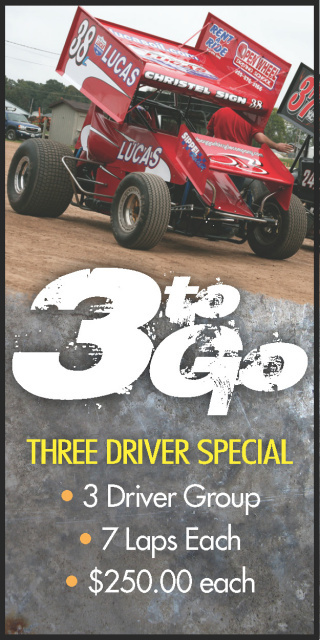 If you're a sprint car fan, aspiring driver or an experienced veteren, we've got a program to feed your curiosity or your level of experience. Our students and drivers are ready to go fast (or at their own speed)! Choose a state-of-the-art Sprint (winged or wingless). Our Open Wheel Driving School™ or Rent-A-Ride™ programs offer an excellent opportunity to experience the thrill of sprint car racing. Rent-A-Ride program offers a fully preparred race car to compete at a choice of two different dirt track venues. We're Ready to Push Off! Our 2018 Open Wheel Driving School Schedule is now set! Our next School School kicks off at 141 Speedway in Francis Creek, WI on Monday August, 13th at 4:00 pm (Central). Our September and October dates will be announced shortly. What to expect as a participant. We hold an orientation and question and answer session for approximately an hour so that everyone has the opportunity to get to know what to expect. We then take the class on a guided track tour to also get familiar with the layout and driving lines. After touring the track, each driver will suit up and start their 4, 7 lap driving sessions guided by one of our experienced instructors. Each drivers session will be broken up with time to discuss any questions or seek our instructors guidance. For every student, we provide all safety equipment needed. If you have any special requests, etc. don't hesitate to ask and we'll do our best to accomodate. Book now and reserve your seat. .You and two friends can attend our Driving School taking part in the class session then splitting the 21 lap on- track session into 7 laps each. 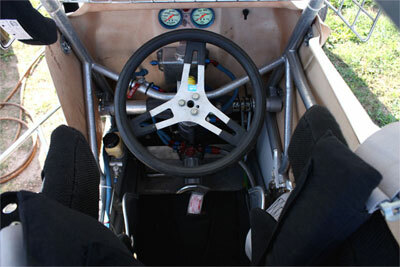 This is perfect for the curious fan or a driver who would like to get the feel of a full sized sprint car. The cost is $250.00 for each member of your group (available to a pre-registered group of three only) with additional laps priced at $15.00 each. See our School schedule, sign up and join us for the ride of your life See our flyer in the Multimedia section of our site. Go to the Multimedia Page for more information and updates or Contact Us for the drive of your life.